Most of the sewing I do is bags: handbags, messenger bags, laptop bags, camera bags, etc. One of the biggest challenges when I'm making a bag, especially for myself, is finding the perfect fabric. A handbag's going to be by my side every day, everywhere, both out on the town and at the supermarket, for hopefully a couple years. Basically, it needs to suit my style and have some personality. So for this challenge my goal was to create a pattern that would make for an awesome bag. 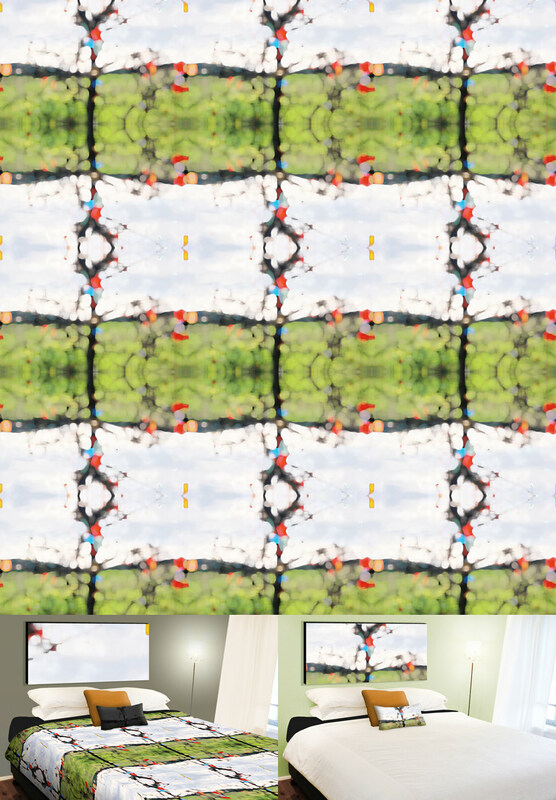 Something fun and bright, with a pattern big enough that it wouldn't visually blur together from a distance. I'm currently in love with the rough cut-out, Saul Bass style. 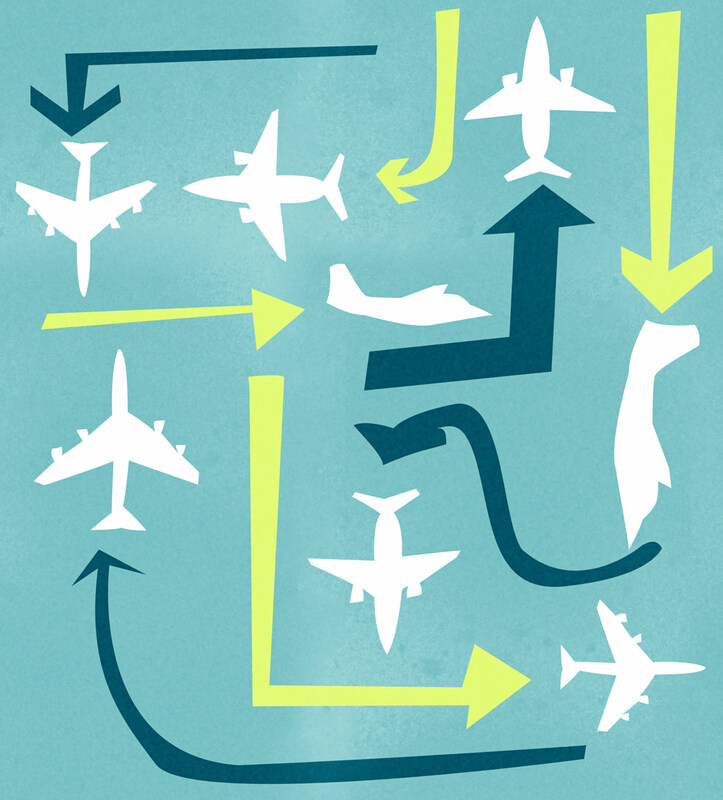 And with the arrows and airplanes, I obviously had Catch Me If You Can on the brain. It's something a little different and more fun than the ubiquitous paisley and floral prints; it also practically begs to be made into some kind of travel bag, maybe a weekender or train case. 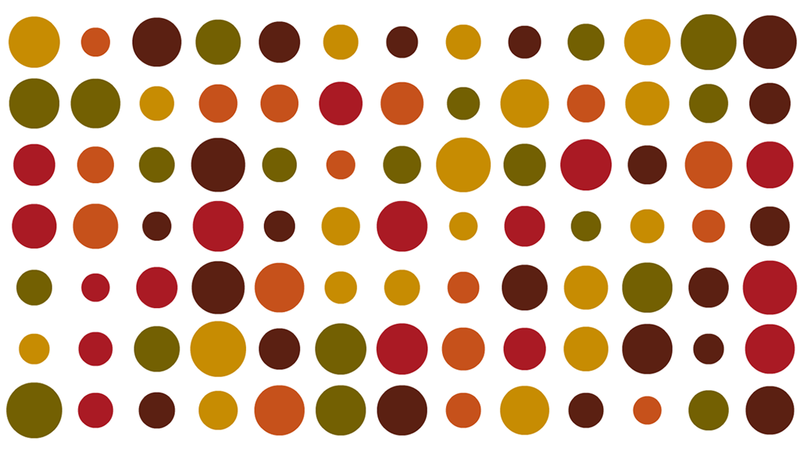 This pattern is a mix of three things I really love: patterns, autumn and the Tour De France. Patterns I like patterns. Perhaps it's the order of 'em or that I have a really boring personality, but I've always been drawn to the uniformity and limitless possibilities in patterns. 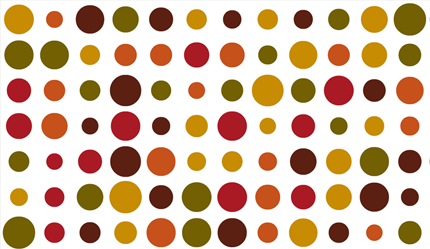 Tour De France This pattern in a lot of ways is drawn from the polka dotted Mountain Jersey of the Tour De France. It may not be the most coveted jersey in the race but in my opinion it's the most attractive. Autumn The color scheme was drawn from nature and my favorite season. Whether it's sights, sounds, tastes or smells autumn has a lot to offer for the senses. The sights obviously refer to the wide array of reds, greens, yellows and browns you see all over nature during autumn. I wanted to take an interior design slant toward my exploration. I enjoy the idea of picking a single interesting item and then designing a room around it. So in this case, I wanted to use the fabric design as that piece. 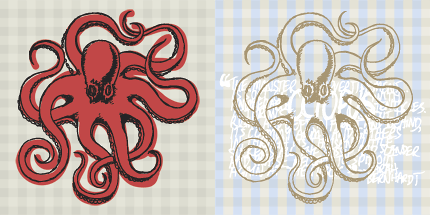 I went for a design that felt more painterly and less vector-like. 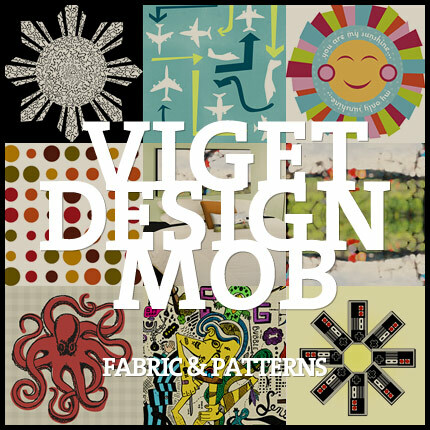 I also worked with the idea that I'd produce a fabric wall hanging, a bed comforter, and a pillow sham. The design came together pretty quickly since there wasn't vector work involved, and I spent a bit of time mocking up roughs of what the interiors might begin to look like. In hind site, I would probably just spend more time on the fabric design if I were to do it over again. A fun exercise for sure. It's especially interesting is to see how a design stands alone and then how it changes depending on how it's repeated. 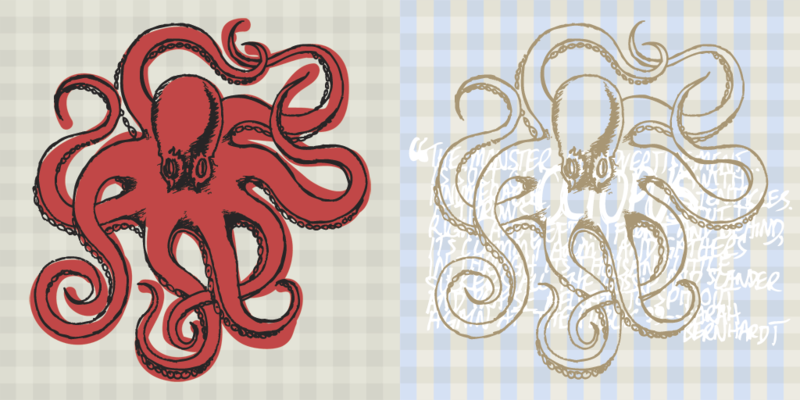 I've been fascinated with Spoonflower's capabilities for a long time and couldn't wait to jump in to this project. While printing a repeat pattern is cool, the idea of using the service to create something more "out of the box" appealed to me more. I've got a 4-month old baby at home. Baby stuff is, in general, pretty crazy looking. Neon! Zig-zags! Ten mismatched patterns on one little blanket! You can also find the total opposite - super neutral, beige, and boring. Finding anything in between is hard to come by. I decided to design my own baby play mat. I wanted to strike a balance and create something visually stimulating to him without offending my own eyes. 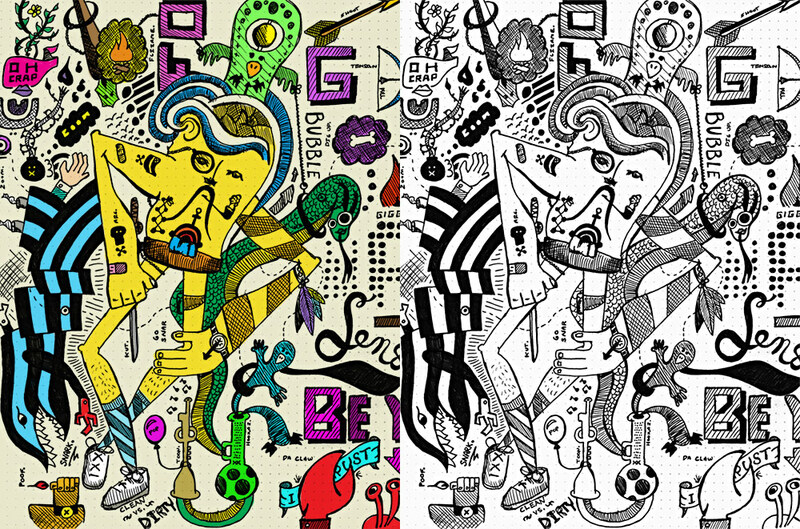 I used bold contrasting colors, a big face, and a polka dot pattern to appeal to my "client". He is still developing his vision and gets jazzed about that type of design. I plan to cut out the design and quilt it into a comfortable, beautiful toy he can drool all over. The clouds will be cut out and stuffed to become a little pillow. When he outgrows play mats it can become a wall hanging. Recently I've been heavily contemplating getting a tattoo that pays homage to my cultural background. My tattoo ideas would consist of Baybayin tattoo, a pre-Spanish Philippine writing system. I'm completely mesmerized by the unique shapes that make up each individual character in the writing system. I also figured that this would make for a pretty unique fabric pattern as well. I decided to combine an element of the Filipino flag, a sun with eight primary rays, each containing three individual rays. 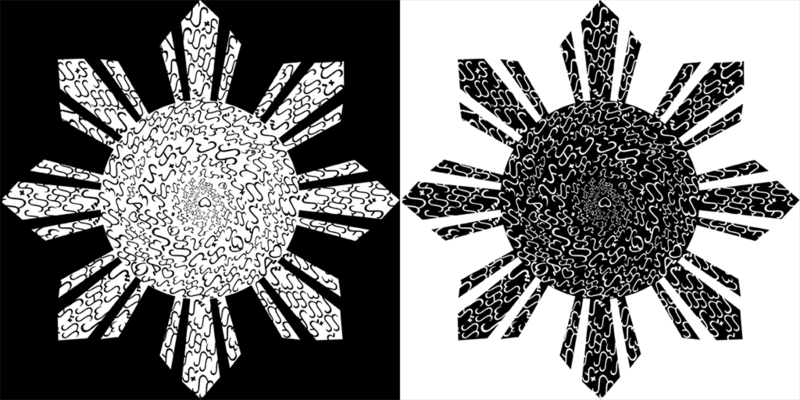 The Baybayin script would then circle around the shape to create an almost hypnotizing effect. I can almost visualize Lapu-Lapu (a famous Filipino Chieftain that fought Portuguese explorer Ferdinand Magellan in 1521) rocking a loincloth made from this fabric! With the weather getting cooler around these parts, I'm looking forward to rocking pajama pants more on lazy Sundays. Its no secret that I've been a huge fan of video games over the years, much of which is due to growing up with an NES. I wanted to try to bring those two loves together with this pattern. 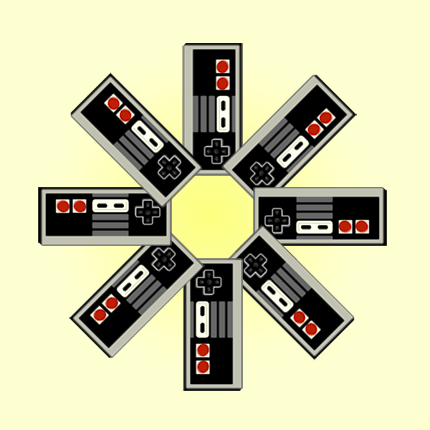 The iconic two-button NES controller was something that seemed pretty iconic, so having a repeating fan of "trollers" that covered a piece of clothing seemed a perfect way to obtain that nice soothing geometric pattern form afar, but reveal one's true nerd nature close up. Alongside pajama pants, inner fabric for a game basket, table cloth for a game stand, and a bandana are just a few ways to keep it 8-bit around the home. I am a constant sketchbook user. My favorite thing/obsession is to doodle up a starting image without thinking about what I'm sketching, then go back and fill the page around the creature/person/item that I started with. This fellow became my interpretation of the Jabberwocky from Lewis Carroll's Through the Looking Glass. While this is not a traditional pattern, I found that when printed by mirroring the image top and bottom the resulting pattern made for an interesting visual. Initially the imagery can be overwhelming, but at a second glance you can start making out the different elements that make up the whole. I think that's a fitting tribute to the Jabberwocky. Beware the Jabberwock, my son! / The jaws that bite, the claws that catch! / Beware the Jubjub bird, and shun / The frumious Bandersnatch! 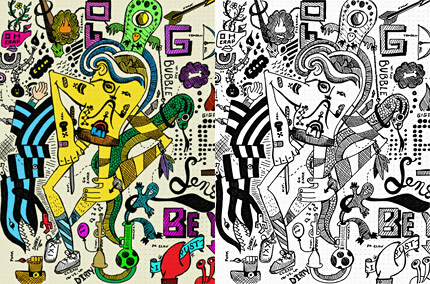 See these designs in action on our Spoonflower profile.